Have you guys checked out Blab? It’s blab.im, it’s one of the newest and hottest live streaming social media sites, and I absolutely love it. Basically what Blab allows you to do is live broadcast, and you can see that all of the replays for all of the broadcasts that I’ve done are listed, and the people that have joined me are in here. It’s so much fun. You start a Blab and you type it in and you get to pick a topic and tags. People can find it based on things and you fill in the date and the time, and you can schedule it in advance, it says now or in the future. You’ll also see that I’ve got a profile and you can set up a profile for yourself. My URL is blab.im/karenyankovich. You want to set up something that you can use, and you can link it to Twitter, which is great because you can tweet out right from blabs. In the video, you’ll see a re-play of a Blab that I did with Christina Daves, we do one every Thursday at 2:30 Eastern time. We have guests, the Blab show is called Get Seen Be Heard, and you can watch the re-plays on Blab, which is very cool. You can drive traffic to these re-plays. If it’s linked to Twitter and Facebook, you can tweet out these links, so I can go right to the Blab and tweet out that link even just to the re-play. It’s very good stuff. If you’re not sure what you want to do, go to the Blab homepage, you can see who’s live right now. We can jump into any of these conversations that we want. You can watch them. I encourage you to watch some until you get the hang of it. Then when you’re ready, hit that start a new Blab button, create some Blabs of your own. It is a great way to drive traffic to a new audience, people that might not have heard of you otherwise. The know, like, and trust factors that you’re able to establish with live streaming are second to none. When you’re talking directly with people on these blabs, people get to know you so much more quickly, they get to trust you so much more quickly, and they’re comfortable, and investing in you so much more quickly. Check it out, blab.im. Follow me. Jump into one of my Blabs. 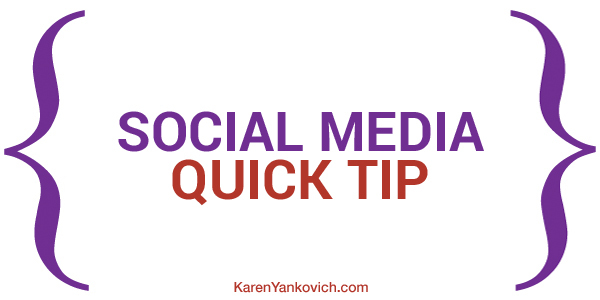 We’re always looking to bring people into the conversation, so let me know that you’ve watched this social media quick tip and that you’re jumping into the conversation. I’ll add you, and we can take it from there. All right, so I’ll see you over on Blab and I’ll see you next week for another social media quick tip.